Despite the West's growing involvement in Muslim societies, conflicts, and cultures, its inability to understand or analyze the Islamic world threatens any prospect for East-West rapprochement. Impelled by one thousand years of anti-Muslim ideas and images, the West has failed to engage in any meaningful or productive way with the world of Islam. Formulated in the medieval halls of the Roman Curia and courts of the European Crusaders and perfected in the newsrooms of Fox News and CNN, this anti-Islamic discourse determines what can and cannot be said about Muslims and their religion, trapping the West in a dangerous, dead-end politics that it cannot afford. 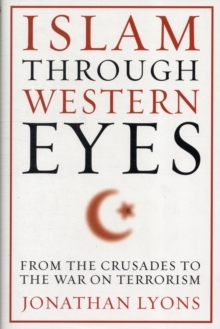 In Islam Through Western Eyes, Jonathan Lyons unpacks Western habits of thinking and writing about Islam, conducting a careful analysis of the West's grand totalizing narrative across one thousand years of history. He observes the discourse's corrosive effects on the social sciences, including sociology, politics, philosophy, theology, international relations, security studies, and human rights scholarship. 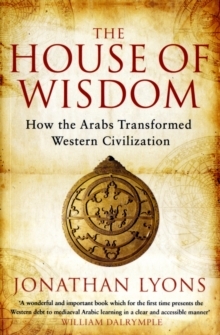 He follows its influence on research, speeches, political strategy, and government policy, preventing the West from responding effectively to its most significant twenty-first-century challenges: the rise of Islamic power, the emergence of religious violence, and the growing tension between established social values and multicultural rights among Muslim immigrant populations. Through the intellectual "archaeology" of Michel Foucault, Lyons reveals the workings of this discourse and its underlying impact on our social, intellectual, and political lives. 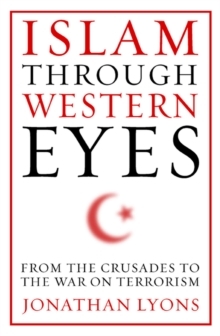 He then addresses issues of deep concern to Western readers-Islam and modernity, Islam and violence, and Islam and women-and proposes new ways of thinking about the Western relationship to the Islamic world.